Your blog entries make me so darned happy! They are pure joy to my soul. Thank you, RB. I’ll try not to bum you out with any tales of woe. I checked out their website and it looks and sounds like such a charming place! And I love their logo. 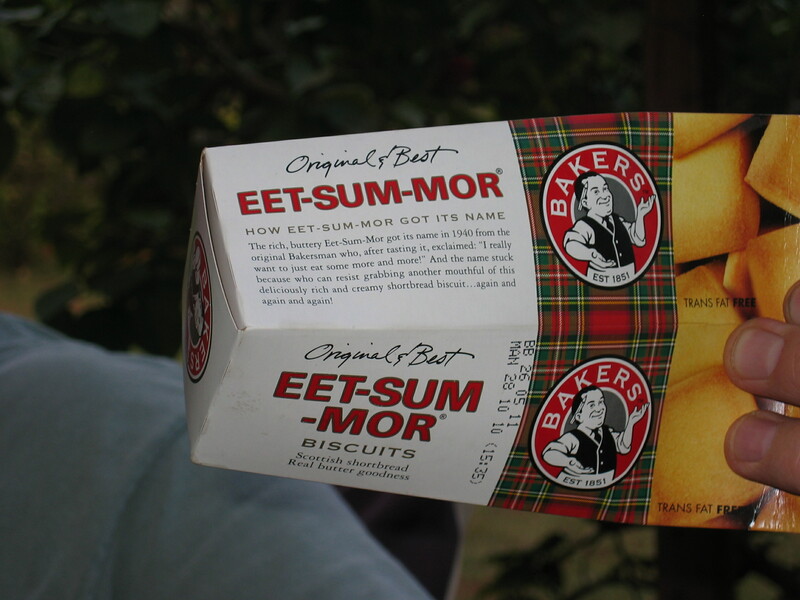 How fun that you found some kindred spirits where you can “eet-sum-more” in the city. What a perfect post to read while I’m sipping on my tea! I remember visiting the most adorable yarn shop out in the Queen Anne nick of the woods. Have you been? I wonder if it’s still there. Koeksisters are Afrikaans, so that’s where the Dutch fits in. They’re more like donuts (but better) than cookies. I’m dying to try some of the other treats at Cederberg now. I’ve been knitting the same sweater since 1999 when a friend taught me how to knit on a flight back from Ireland. (The Aer Lingus stewardess was really good natured about the giant ball of yarn that kept rolling down the aisle!) Despite the fact that I’m not really a knitter, I’ve been to a lot of shops here when friends come to visit. I’ve missed one on Queen Anne, but I’d be surprised if there isn’t one there. My favorite, just for the loveliness of the place, is Churchmouse Yarns & Teas on Bainbridge Island. Whenever I’m there, I come back with renewed interest in finishing that sweater (now out of style!) that lasts a good three days! I’ve decided that beginning a project is a legit hobby. I too have a sweater that’s been on the needles for a long, long period of time. Today I began a shawl. This place sounds great! I hope it sticks around. 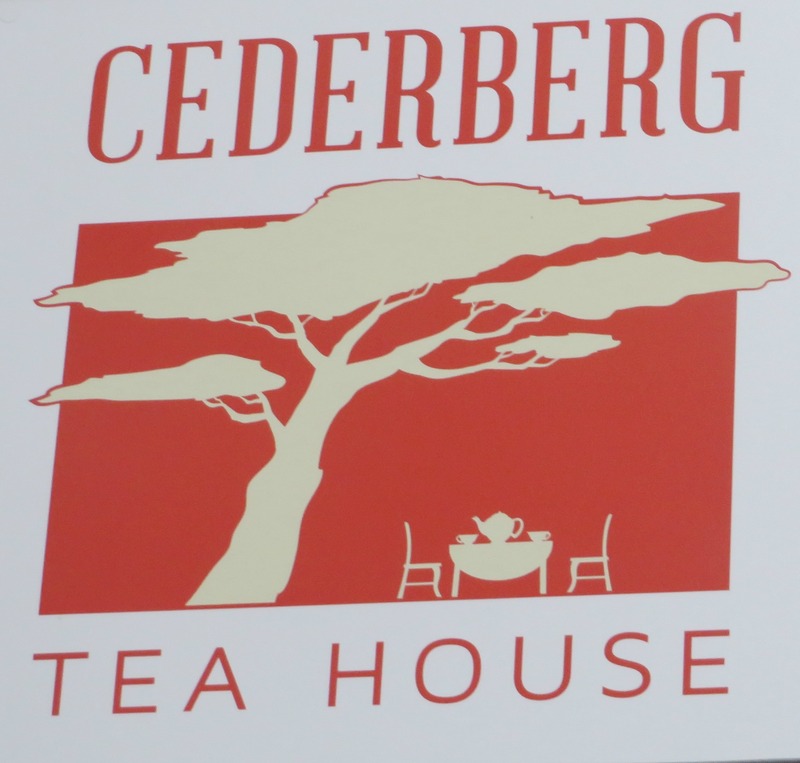 Hi there, this is Natasha (the owner of Cederberg Tea House). Thanks for writing such a lovely blog about our shop. 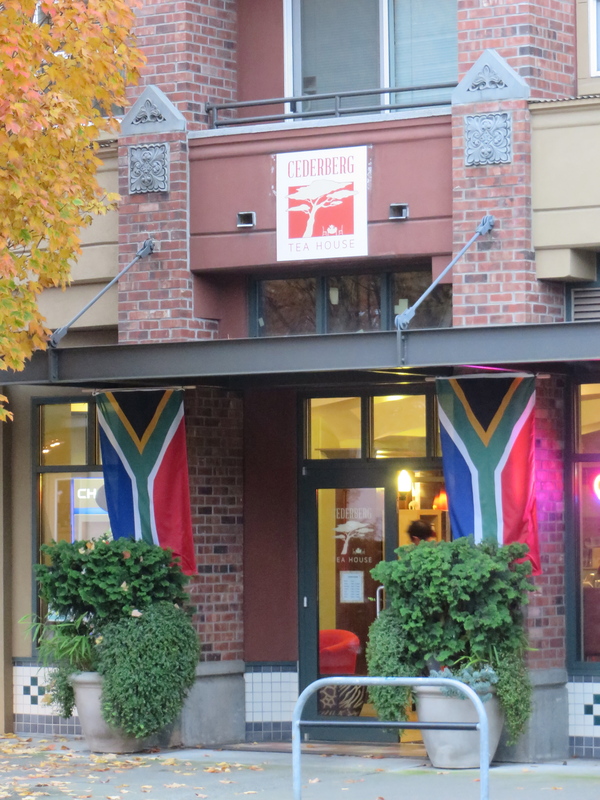 We are so glad to give folks a taste of the Southern Africa we all miss. P.S. We changed the Koeksisters a bit since you last came in. Dare I say they are even better now. 🙂 Hope to see you again soon. Natasha, Z and I brought my mother in so she could try the Koeksisters this week, and I agree: they are even more delicious!